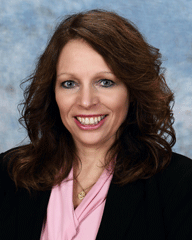 Attorney Abby De Blassio has been practicing law for 25 years, and is a leader in family law in Westmoreland County. Abby chaired the Westmoreland Bar Association Family Law Committee from 2007 to 2012, and local lawyers consider her a “go to” person for expertise in complex family law issues. She remains current on the frequent changes in family law practice in Pennsylvania and Westmoreland County, and keeps local family lawyers advised of important legal developments in this area of practice. She has lectured at Continuing Legal Education seminars about family law topics at the Westmoreland Bar Association, and serves as a court-appointed divorce master in Westmoreland County. 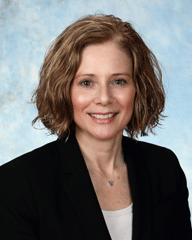 She is a member of the Pennsylvania Bar Association Family Law Section, the Collaborative Law Association of Southwestern Pennsylvania (CLASP), and the International Academy of Collaborative Professionals (IACP). Abby is known for her versatility, in being an experienced and effective collaborative lawyer, a patient and resourceful mediator, and an accomplished and successful litigator. Abby represents clients in Westmoreland, Allegheny, Indiana, Butler, Washington and Fayette counties, in collaborative proceedings, mediation, and litigation. Law firms throughout Southwestern Pennsylvania regularly refer their clients to Abby when they want to be confident that their clients who are experiencing family law issues will be skillfully and zealously represented by an attorney who genuinely cares about her clients. Abby’s practice is focused on family law, including divorce, child custody, support, protection from abuse, and pre-marital agreements. Abby also provides pre-marital legal counseling to clients, and assists clients who are interested in forming domestic partnerships, cohabitation agreements, and co-parenting agreements. As most clients prefer to avoid going to court, Abby has developed a thriving collaborative law practice over the course of many years. Her practice focuses on helping clients resolve their cases and conflicts in a manner that allows them to move forward with their lives, and restore peace in their relationship with their former spouse or domestic partner. This is especially important in situations where ongoing contact with their former spouse or partner is needed in order to effectively co-parent their children, or to maintain relationships with extended family post-separation and post-divorce. Clients feel empowered in this process because they are able to control the outcomes of their cases, rather than subjecting their lives and financial future to the risks of the litigation process. By having the opportunity to sit face-to-face with their spouse or partner and express their concerns in a safe, secure, private and non-threatening format, with the assistance of calm, collected, knowledgeable and respectful counsel, clients can find a sustainable and satisfactory legal resolution, and also heal emotionally from the painful and difficult experiences associated with the end of a relationship. Abby is committed to help clients arrive at intelligent solutions to the unique circumstances of their cases. She has established a broad network of professionals, including accountants, appraisers, business valuation experts, financial planners, evaluators, therapists, and counselors, to assist clients in making informed decisions in their cases. To the extent legal expertise is required outside of her regular practice areas, Abby has developed relationships with attorneys who practice in estate planning and administration, probate, corporate law, real estate, tax law, bankruptcy law, workers’ compensation, personal injury, Social Security law, and other areas, to further assist in providing clients with comprehensive, multidisciplinary representation. Client satisfaction is Abby’s number one priority. She ensures calls are returned promptly. She takes the time to get to know her clients personally, to understand their goals and concerns, and to explain all of their conflict resolution options. Abby works closely with clients to plan effective strategies to navigate the conflict resolution process, and helps clients maintain a calm perspective on their short and long term objectives. What distinguishes Abby in the field of family law is her patience, compassion, warmth, legal knowledge, experience, and her maintenance of dignity and respect toward the participants in the legal process. Bachelor of Science, Agricultural Economics/Business Management and Marketing, Cornell University, Ithaca, New York, 1988. Juris Doctor, Southwestern University School of Law, Los Angeles, California, 1993. Admitted to the Pennsylvania Bar, 1993. For additional information about Abby De Blassio and reviews, please click on the Avvo link below. A Greensburg native, P.J. received her Associates Degree in Paralegal Studies from Westmoreland Community College in 1997, and has over 20 years of experience working as a paralegal and legal secretary in respected firms in Greensburg and Pittsburgh. P.J. has extensive experience in litigation support, and has distinguished herself as a diligent and caring legal support professional. She is committed to assisting clients through the conflict resolution process, and Abby and P.J. enjoy providing enhanced client service as a result of their combined talents and energies. Disclaimer: Information contained in this site is strictly informational, and is not, nor is it intended to be, legal advice. You should consult with an attorney for specific advice regarding your individual situation. Keywords associated with Greensburg-Divorce include Greensburg Child Custody, Greensburg divorce attorney, Greensburg divorce lawyer, attorney Abby De Blassio, Westmoreland County divorce lawyer, family law attorney, divorce lawyers in Greensburg PA, Southwestern PA. See also: Murrysville Divorce Lawyer.